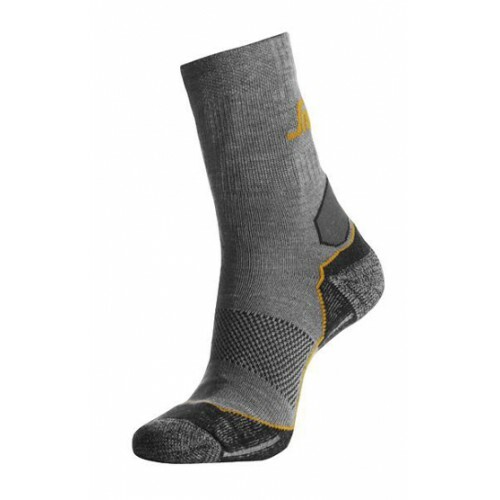 Snickers Clothing Sharpen your footwork with these cutting-edge breathable works socks. Featuring innovative design with foot bump protection and advanced Coolmax® material for amazing performance and dry comfort with every step. Material used in the Snickers Socks 9201: Moisture transporting Coolmax yarn, 60% Coolmax/Polyester, 14% Wool, 6% Silk, 16% Polyamide, 4% Lycra.